A US based multi-discipline engineering firm conducting 3D Laser scanning & filed surveys in the field of Oil & Gas, Process Plants, Mining, Industrial Plants & Utility sectors. they also offer services in structural, civil, mechanical, material handling, process, electrical, instrumentation and controls engineering and designing. 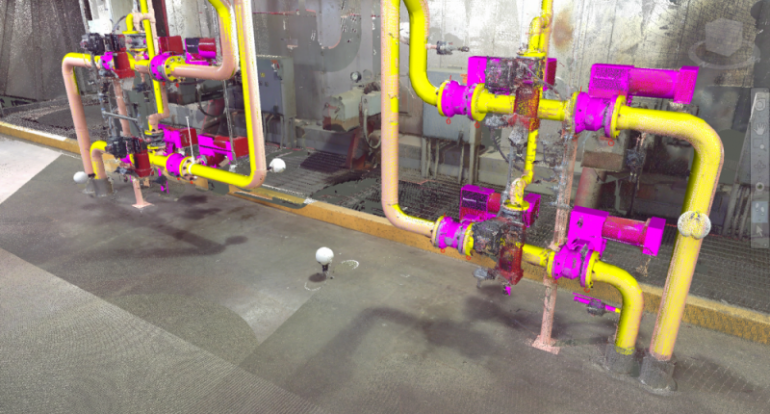 Reverse Engineering and Point Cloud Data Conversion to Intelligent 3D Model using AutoCAD Plant 3D from the laser scanned data generated through FARO Laser scanner for piping system of an existing boiler plant.